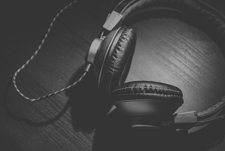 In today’s music, you simply can’t imagine live performance or studio recording without some kind of a percussion instrument. In most cases, those are drums, especially in popular music. The fact is that drumming is actually the first form of playing music in mankind’s history, which dates from thousands of years ago. So, let’s start with a brief history of these amazing instruments. Through the whole history of music, drums had a leading role. Moreover, music started with the most primitive percussion instruments, in times before first civilizations even existed. Thousands of years have passed, and drums are still used both for fun and practical purposes. Most historians agree that the original purpose of these instruments was rather practical. Religious and superstitious rituals played an important role in ancient times. Soon after, people started to use them for military purposes, as drumming was one of the best ways to communicate with a mass of people. That state remained pretty much until the 19th century. As civilizations were progressing, percussion was evolving as well. The roots of today’s common drum parts can be found in the Medieval and Renaissance Europe, but keep in mind that some of them, such as cymbals, existed in the pretty much same form for thousands of years. Even in the 1800s, the focus was on military purposes and the interesting fact is that, even at that time, military orchestras consisted of numerous percussionists. Different drums, such as bass drum and cymbals were played separately, by different players. Classical orchestras consisted of various percussion elements that are integral parts of drum sets today, such as a drum, snare, gong, vibraphone, whip, triangle, marimba, etc. In the second half of the 19th century, musicians and inventors finally started to combine two or more percussion instruments. By 1900, we saw numerous attempts at creating something that would involve fewer people in the percussion section of an orchestra. One of the most revolutionary things in drum history happened in the first decade of the 20th century. William F. Ludwig came up with a completely new design, which will later become known as a foot pedal for a bass drum. At that time, it was a real breakthrough, as both hands were free to play simultaneously multiple parts of something that will soon become a drum set. After this invention, drummers started to play in a seating position. So, we can say that a drum set was getting today’s form after the introduction of a bass pedal. It is pretty much legal to say that perseverance is the key factor for the evolution of drums. At the time, most orchestras had pretty tight budgets and the easiest way to save money was to assign more percussion parts to a single person. This leads us to the next stop, which would be probably the first drum set in history. It appeared sometime in the second decade of the 20th century and included three parts – bass drum, snare drum, and cymbal. Both snare and cymbal were stand mounted, which allowed simultaneous use of all three elements of a set. Once drummers became comfortable with the new three-piece design, they wanted more. At this time, we saw a lot of experiments, as each player preferred some of his favorite “noisemakers”. However, most of them remained in history. The only one that survived and became a standard part of a drum set, along with three established parts, was a hi-hat. The original design, though, was a little bit different from what we are seeing today. The base principle was the same, which means two cymbals that are faced oppositely, which crash together when the pedal is depressed. The sound is quite the same as on today’s hi-hats, which means a kind of a hand-muted sound. However, the interesting fact that this “instrument” was only a foot from the ground, so it’s no wonder it was called a little boy. In the following years, the little boy started to grow and eventually became a hi-hat. Without any doubt, Gene Krupa is one of the most important figures in the history of drumming and that is for a number of good reasons. Famous for its energetic and fast playing, Krupa established drums as a solo instrument. He left tons of recordings but more importantly, he used a combination of drum parts that are standard components of today’s drums as well. That would mean a set that consists of a bass drum, snare, two toms (one mounted on a bass drum, other on the floor), hi-hat and three cymbals – ride, splash, and crash. Such setup allowed fast polyrhythmic sequences, so many drum legends appeared soon after. One of them is Max Roach, who created many of jazz rhythmic patterns that are pretty much standards these days. 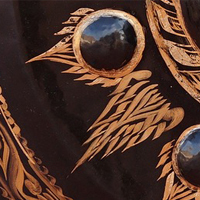 Rock drummers weren’t always the most skilled and talented musicians, but they had a huge impact on the evolution of this instrument. First of all, a big thanks go for the popularization, as famous rock drummers inspired thousands of young kids to start playing this beautiful instrument. Rock music also had a big impact on the further development of drum sets. Of course, the loudness is the first thing that comes to mind. Amplified instruments, like electric guitars and basses, became integral parts of rock bands, so it was necessary to find the way to make drums even louder. Drummers started to add more and more parts. 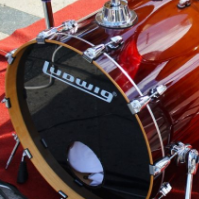 One of the most interesting is a double bass drum. Although it was initially used by Ginger Baker in the 60s, it became widely used a couple of decades later when more aggressive metal genres appeared. These days, pretty much every metal drummer uses a double bass pedal but can be found among drummers in other music genres as well. Another thing that came with rock music is huge events. To play in front of thousands of people, you needed something pretty loud. 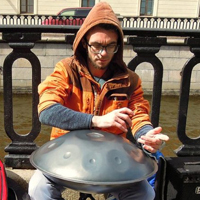 So, engineers started to develop drums made of different materials, including acrylic drums. Speaking of materials, synthetic, Mylar polyester film drum head completely replaced natural skinheads at the time, due to much better resistance to temperature and humidity changes, as well as significantly improved durability. In order to give more colors to their playing, drummers started to add numerous auxiliary percussion elements to their sets, which included various modern and traditional instruments from around the world. Today, you will hardly find a jazz or fusion drummer that doesn’t combine typical drum parts with some exotic percussion. Meanwhile, the evolution of electronic drums started as well. 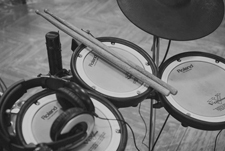 First rhythm machines appeared in the 60s, while electronic drum sets became a common thing already a couple of decades later. 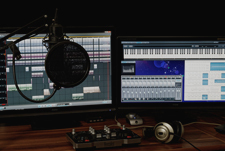 These days, the offer of electronic drums is huge and includes both affordable practice kits and professional sets that cost thousands of dollars. 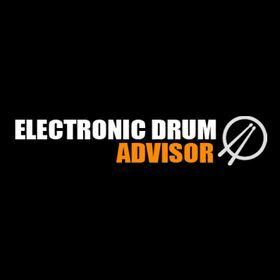 You can read a complete history of electronic drums here. Looking to buy a drum set? If you’re looking to buy your first drum set, then check out our guide on the best drum sets for beginners. To someone who doesn’t know too much about drums, a modern drum set would probably look far more complicated. However, the fact is that things haven’t changed that much since the 1940s. Even today, the most basic drum set consists of a large bass drum, a couple of toms, one-floor tom, snare and a set of cymbals. Still, modern drummers usually prefer a little bit more complex configurations, in order to get more colors in their playing. Today’s market offers a lot of options, so every drummer practically has his own, custom drum set. They use different types and sizes of toms, snares, and cymbals, double bass pedals, but also various kinds of other percussion. Still, the fundamentals remained unchanged for decades.